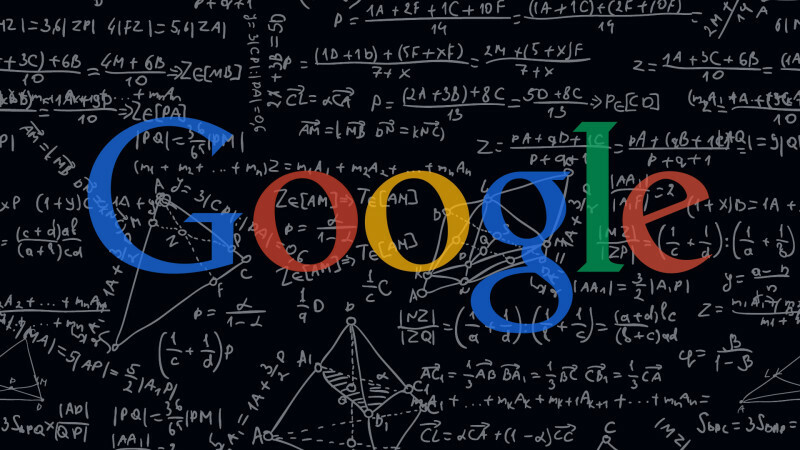 Google latest and new algorithm changes – A detailed look. Google’s search algorithms are the matter of the consistent change. Each year they go through 500-600 times of changes and upgradations of which most are of the minor impact. Occasionally, Google, introduces the major algorithm changes, for example, Panda and Penguin, who can shake the search market in the most significant way. It is essential for the search marketers to understand these changes, their elements and their impact on the search. At the very first, we need to clear the concept of Google search algorithms. The term search algorithm means of a keyword-based search process to find the most relevant web page. In the other words, it is the systematic process by which Google presents the search results and ranks them. In the order to delivering the best results for each search, Google started updating its search algorithm and with each change, there was either a minor or the drastic change in the market. As the result of these minor to major there are various sites which were penalized with lower rankings, but still, there are many who suddenly get the boom in the ranking and the organic traffic as well. How RankBrain Changes Entity Search and Google search results. How to Impress Google with your website. In the year 2014, Google, upgraded its search algorithms for near about 500 times, including Brandy update (that focused on the increasing attention on link anchored text) and Latent Semantic Indexing (where the additional focus over the other relevant pages of the site also). Till the date, Google has made more than 2000 changes and updates and with each change, it gains a large amount of some more relevant and accurate data so that it can provide the users more exact search results. The latest Google changes are impacted and influenced by the rapidly growing mobile internet sector. As the positive impact of Panda, Penguin, and Hummingbird updates, Google has solidified its commitment to providing as possible the best and correct results to the users. Due to the updates, the content with valuable information and good detailed are given preference in ranking, so the users are getting the improved quality of the data and information. Now Google scores the web pages with the fresh and interesting content. In order to get better ranking, the content creators are paying more attention to crafting the fresh and natural content on the regular basis. As the indirect impact of the Google algorithm changes, there is a big support diverted to the brand awareness and brand building. The anchor text and the content creation are also getting oriented to the brand names. This word has comparatively more familiar to any veteran SEO expert with daily touch with the Google-related news. It was the first major step by Google, which revolutionized the SEO established a great sense of trust on Google among all businesses. It was actually a content quality filter which marked and targeted the thin sites with poor quality content and prevents them to get placed at the top position on Google SERPs. As the impact of Panda Algorithm update, the search market passed through some great changes, including content strategy, keyword research, link building (in the terms of quality instead of quantity), etc. With Panda, Google became more capable of determining and filtering the spammy sites to enhance the users’ experience. Before the launch and introduction of Panda, it was possible for a highly optimized webpage to get top ranking in the result pages. The first version of Panda was unleashed to fight the content farming. As per the studies, this update affected approximate 13% of the searches in the United States. Each of the algorithm changes facilitated the web users in gaining more relevant and valuable information. On the hand, Google’s status as the most efficient and trusted search engine and the advertising media company was becoming sounder. With the copied content a site or web page may have to deal with the various SEO concerning problems along with penalization or blocking also. After being assured of the content quality aspect, you need to audit the inbound links with your site. Not only Panda but the another Google update Penguin also focus on the quality instead of the quantity. The term means the number of single-page sessions that your site receives. The higher rate of bounce indicates that the site is not found valuable by the visitors and they are not considering it an important one. While the visitors on your site never repeat themselves, it is further noticed and recorded under the Google algorithms and you and your site as well will have to pay for it. The Penguin update was first introduced in 2014. While Panda was basically concerned with the content quality of the site, Penguin was focused on the quality of the incoming links. During the pre-Penguin time period, the webmasters and site owners used to apply various link building tactics to achieve a higher SERP ranking. But now only the ethical and proper techniques are visible. The links coming from the natural and relevant sites are only acceptable in order to improve the site ranking. Penguin updates also unfriendly with overusing of the keywords on a web page. The over optimization of the anchor text could be the reason of penalizing by Google Penguin so, must be avoided. Such links are useless for both the users and the search engines also they ruin your ranking as well. Some facts relating to Google Penguin update. Though Google Hummingbird is not an algorithm update like Penguin and Panda, it aims to serve better search results to the users. It also should be considered and taken into account while optimizing a site or web page to prevent your site be a victim of Google Penalizing. Well, I’ve described the detailed look of Google newest algorithm changes. If you have any query or suggestions then share with us. Informative article. I’ve noticed an improvement in relevancy and quality of search results lately.